The best way to see the park is to hop on a bike and ride around with the family. Ocean Lakes Family Campground features eight freshwater lakes that are home to ducks, fish, turtles, egrets, swans and other wildlife. The bike paths are as smooth as the views and there’s always so much to see. 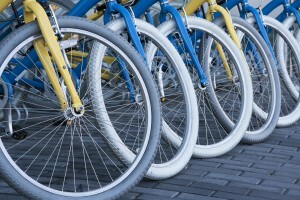 Bicycle rentals are available by the hour, day or week. One of the best and most fun ways to see the campground is on a bicycle! Bicycles are available in our Recreation office, and are available for hourly and daily rates! What a great way to tour the campground without having to bring your bike from home!